Temple of Praise/Liverpool Lighthouse, 0151 476 2342. Price £6.99. For mail order (within the UK): ring 07427144007. Price £10, inclusive of postage and packing; delivery 1stclass, signed for. This gripping narrative tells in unvarnished terms how two people dared to trust God and how God enabled them to make decisions and to act on them in faith. 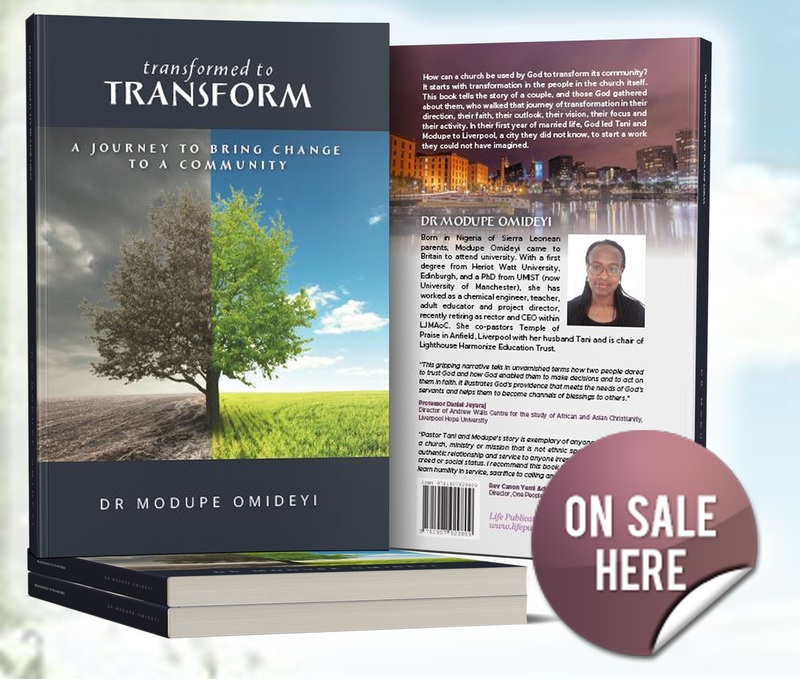 This transformative story illustrates God’s providence that meets the needs of God’s servants and helps them to become channels of blessings to others. Rev. Canon Yemi Adedeji, Director, One People Commission, Evangelical Alliance UK.